Cleveland is home to Rock & Roll Hall of Fame but also the Cleveland Hall of Fame located inside City Hall. 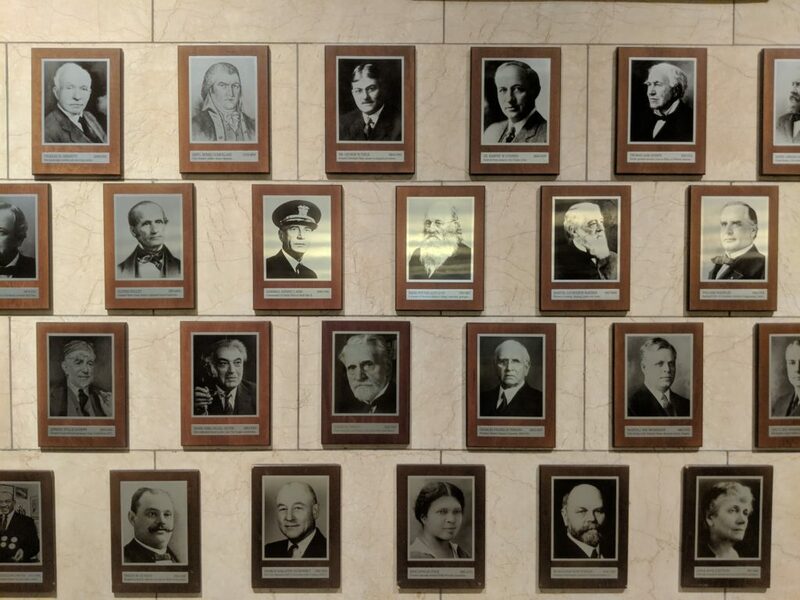 Cleveland’s Hall was established in 1971 by a panel of 12 judges made up of locals from area universities, newspapers, historical societies and city council members. The Hall contains no living persons and additions can be made every five years. You will see everyone from industrialists, to artists, to inventors and political leaders, many of which we have profiled here throughout the year. 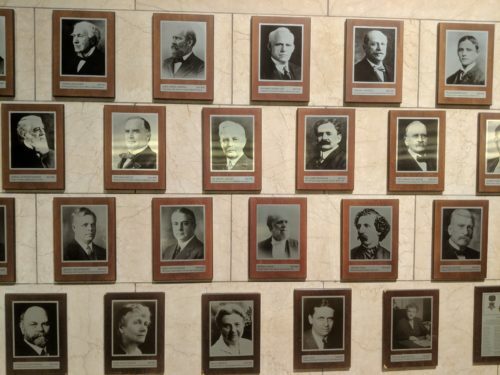 Folks like John D. Rockefeller, Marcus Hanna, Garrett Morgan, Charles Brush, Dorothy Fuldheim, James Garfield, Carl Stokes and Linda Eastman are in the Hall. The Hall is located on the north wall of the Rotunda in Cleveland City Hall and totally worth checking out!